October 4 is FRIEND DAY! Many of our students have mentioned that they have friends who might be interested in participating in STARS someday so we decided to have a special FRIEND DAY on October 4. 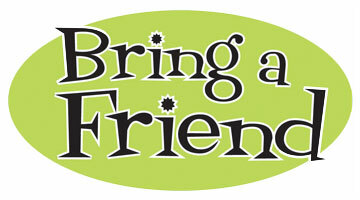 Our students are encouraged to invite their friends who might be interested in joining to attend the next rehearsal. Their friends will be welcome to watch and participate in our rehearsal to see if they would like to be a part of our program. To thank you, we would like to make you a special offer. If their friend chooses to join and becomes a paying student in November – your November tuition will be FREE. Interested in checking out STARS? October 4th is YOUR DAY!